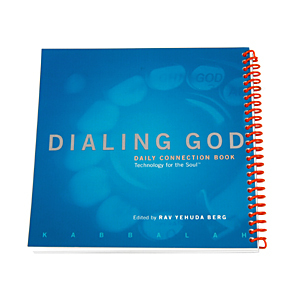 A handy, convenient book with all of the essential meditations and prayers you need to connect to God at any moment, in any situation. This amazing book is the only one of its kind in the world. Filled with the secrets and mystical insights of Kabbalah, this is one book you will want to take with you everywhere. Discover the ancient technology that empowers and fuels the hugely popular Red String, the most widely recognized tool of Kabbalistic wisdom. 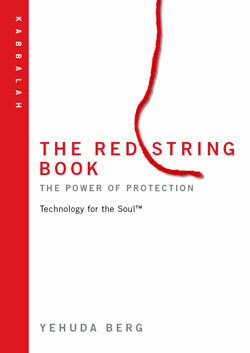 Yehuda Berg, author of the international best-seller The 72 Names of God: Technology for the Soul, continues to reveal the secrets of the worlds oldest and most powerful wisdom with his new book, The Red String: The Power of Protection. Discover the antidote to the negative effects of the dreaded Evil Eye in this second book of the Technology for the Soul series. Find out the real power behind the Red String and why millions of people wont leave home without it. Its all here. Everything you wanted to know about the Red String but were afraid to ask! The book includes a free Red String and a mail-in offer to ward off the Evil Eye. Book will start shipping on the week of Octorber 11th, 2004. The Red String protects us from the influences of the Evil Eye. Evil eye is a very powerful negative force. It refers to the unfriendly stare and unkind glances we sometimes get from people around us. Envious eyes and looks of ill will affect us, stopping us from realizing our full potential in every area of our life. According to Kabbalah, the critical need to confront the problem of negative influences cannot be underestimated. People who fail to understand this and activate a protective shield through positive and proactive behavior will eventually become victims. Kabbalah teaches us that we can remove intrusive negative influences and, more importantly, that we have the potential to eradicate negativity forever! The power of the eye, when understood from a Kabbalistic perspective, becomes as powerful a healing instrument as it can be a devastating channel of destruction. Revised: 30 Nov 2014 23:05:40 -0500 .